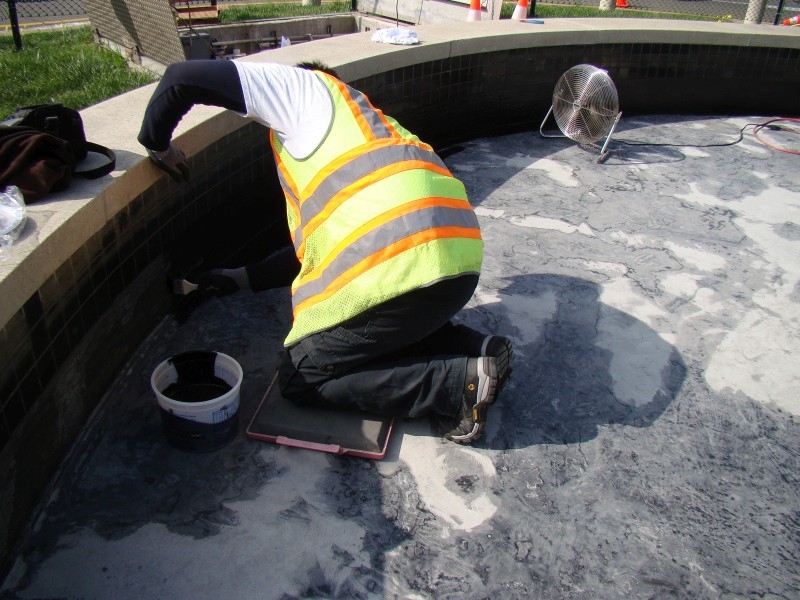 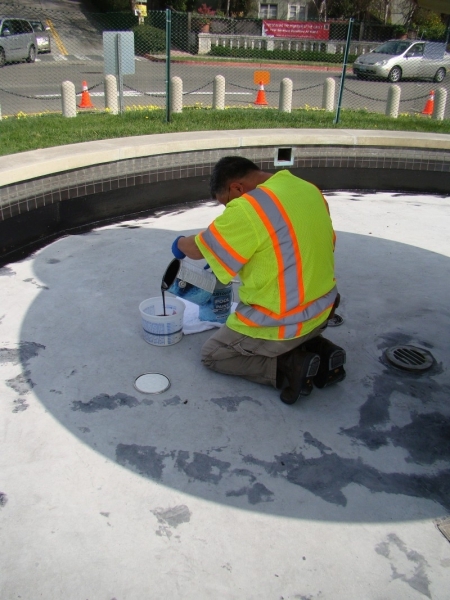 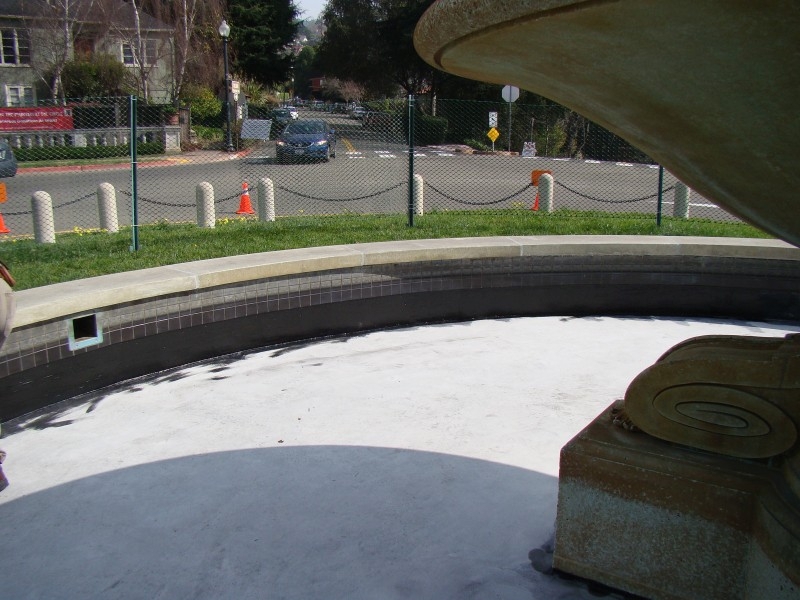 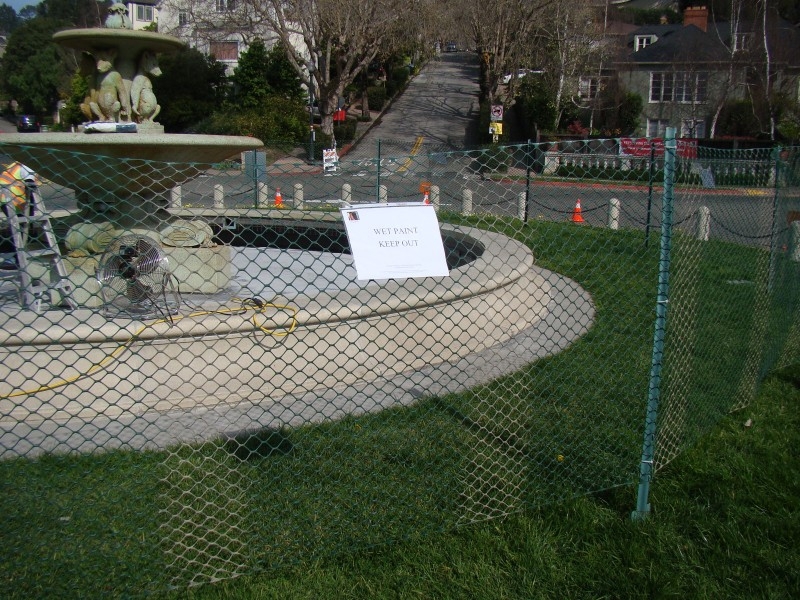 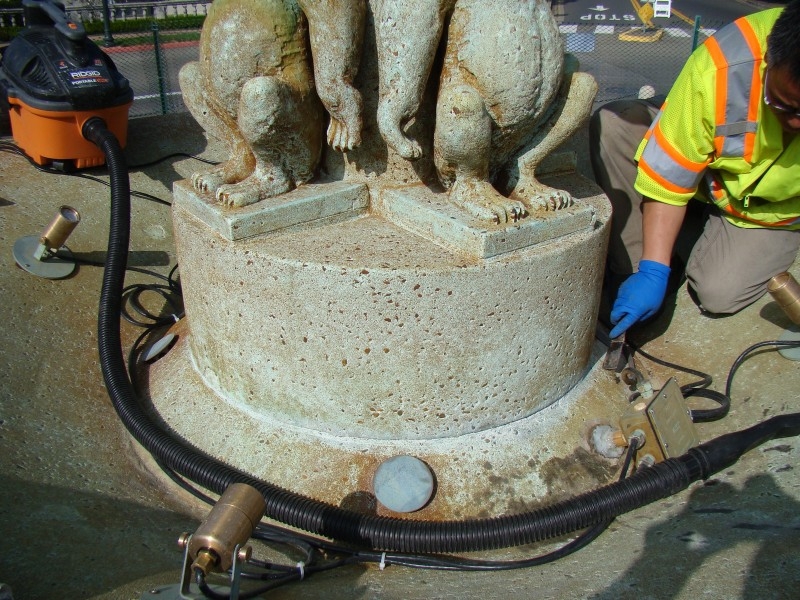 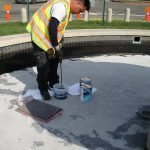 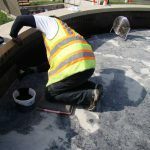 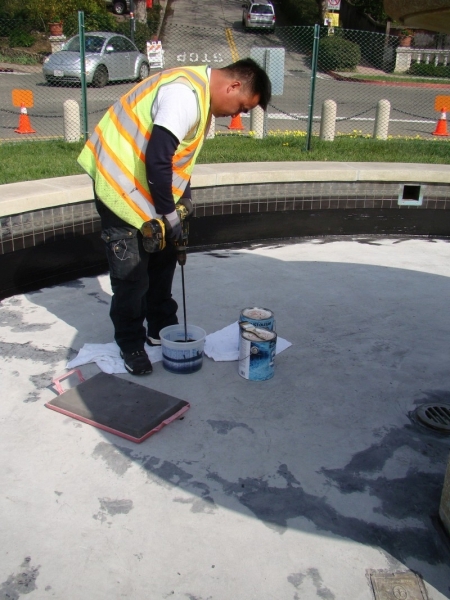 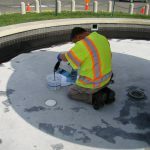 City Parks Department continued painting the fountain pool sides. 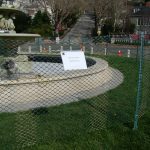 To protect the paint while it is curing, they erected a fence. 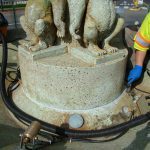 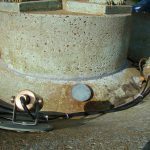 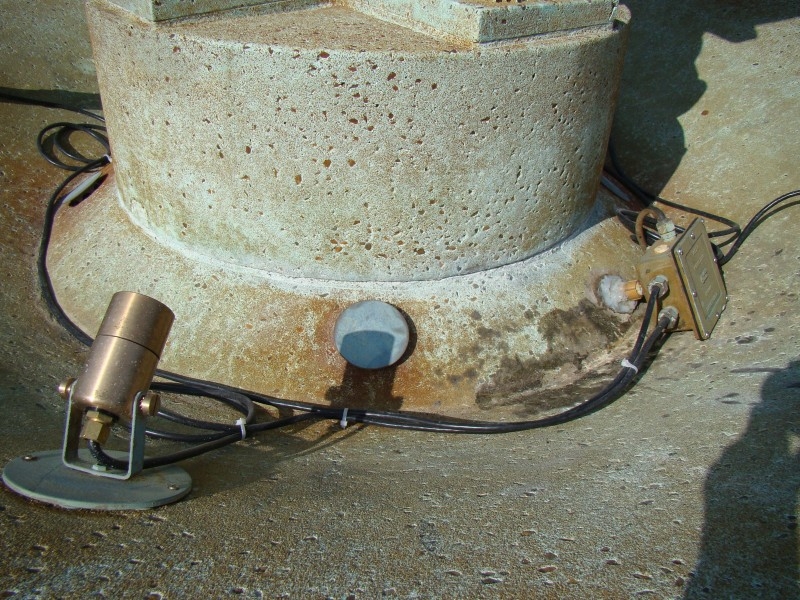 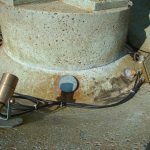 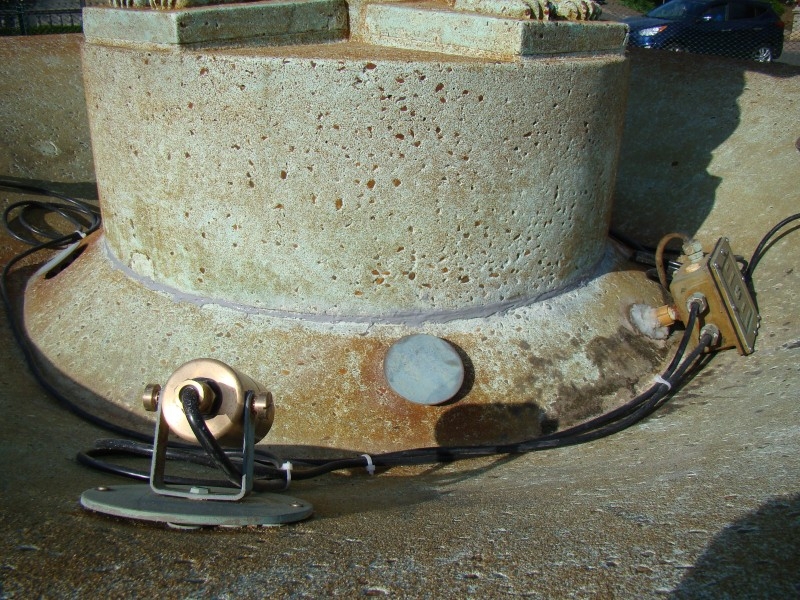 Also, the caulk was coming out of the joint seam in the middle bowl, so they prepared it by removing the old caulk, then using a wire brush and vacuuming the area. 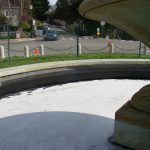 They used a pool sealant to fill in the gap.